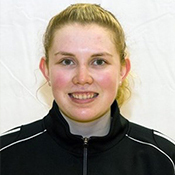 Lisa Barclay is member of the Canadian National Volleyball Team. The athlete was born and raised in Brandon, Manitoba. She currently plays for UBC.